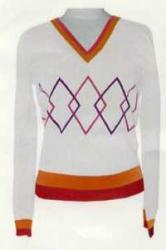 Description: Knitted V-neck sweater. Great for a chilly day on the golf course. 100% Cotton.